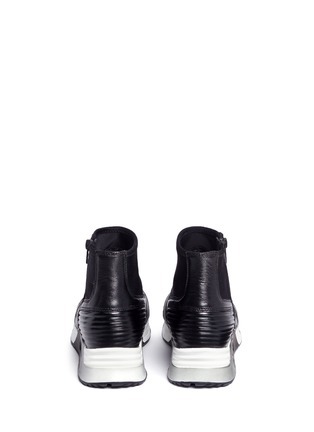 Embodying the spirit of a hybrid risk-taker, these Ash sneakers give its wearer an infectiously seductive charge. 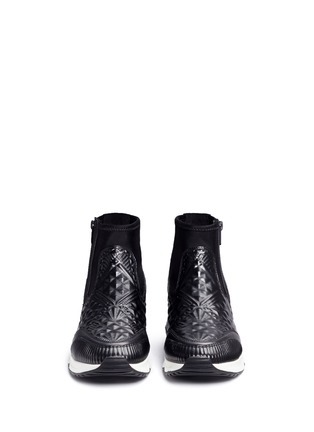 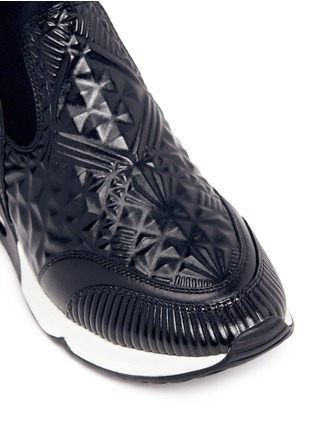 Crafted in black calf nappa leather then embossed with an elusive tribal motif, this pair is engineered with a functional rubber outsole and air cushion window for lasting comfort. 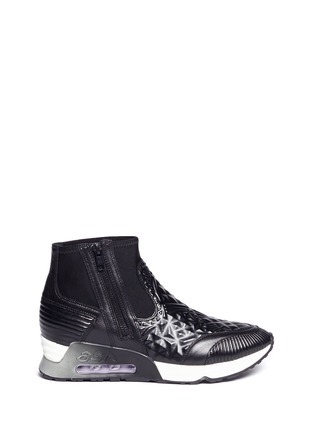 Gloved with elasticated scuba socks, these shoes narrate a sense of futuristic glamour.